A recent article in the New York Times discusses the pitfalls of reverse mortgages, including the effect such a mortgage may have on the heirs of the borrowers in question. A recent blog post also examined the possible negative legal ramifications of reverse mortgages on seniors and their surviving spouses. 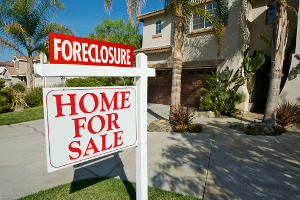 This article will discuss possible legal defenses when a reverse mortgage is being foreclosed, or threatened to be foreclosed, by a lending institution. The first person to be impacted by a reverse mortgage default is usually the surviving spouse of the borrower. This situation can occur when only one spouse is obligated under the reverse note and mortgage. There are several reasons why this can happen. It is possible that one spouse has poor credit, and cannot qualify for a loan. In addition, in order to qualify for a reverse mortgage, the borrower must be at least 62 years old. A couple may own a property jointly, where one spouse is over 62, and the other is younger. In that case, the reverse mortgage may be made to only the older of the owners. In this example, the lender will often force the non-borrowing spouse to remove their name from the title of the property being borrowed against as a condition to making the loan. This may cause additional legal problems if the non-titled spouse survives the borrowing titled spouse. If the borrowing spouse passes away, the terms of the reverse mortgage usually call for the entire sum that was borrowed to be immediately paid in full. The surviving spouse may receive collection letters from the lender, demanding that the mortgage be repaid in full. This obviously comes at a time when the surviving spouse is probably undergoing emotional and financial stress. Under Federal law, the surviving spouse is supposed to have the option of settling the reverse mortgage for 95% of the current value of the property. For example, if the home is appraised for $200,000.00, the loan can be paid in full for $190,000.00, even if the amount borrowed is greater. Therefore, if the surviving spouse is able to refinance, they can pay off the reverse mortgage under this legal provision. Should the survivor decide to sell the property, any proceeds above 95% of the appraised value would belong to the heirs of the deceased, instead of the lender. Many lenders do not advise their borrowers of this option. In fact, lenders are aggressive in commencing foreclosure actions without regard to the legal protections of borrowers afforded under federal laws. Recently, our firm filed an Answer on behalf of a client whose late husband took out a reverse mortgage. The surviving spouse was forced to sign a deed at the closing of the reverse mortgage removing her name from the title of the property. Our firm’s answer included counterclaims against the lending institution for failure to comply with federal regulations. In addition, a cross-claim was brought against the Department of Housing and Urban Development (HUD) for failing to protect surviving spouse borrowers from losing their homes to reverse mortgages. A recent federal court decision stated that, under existing federal regulations, HUD, as federal insurer of reverse mortgages, was obligated to implement regulations to protect surviving spouse borrowers, as the intent of Congress was to prevent surviving spouses from losing their homes in foreclosure. As of this writing, HUD has yet to implement any such regulations. Therefore, it is important for anyone who may be subject to a foreclosure action on a reverse mortgage to retain experienced counsel who will raise these important issues with the Court in which the foreclosure action was brought. This will protect their legal rights in the property. As the New York Times article discusses, similar issues may occur when the last owner passes away and the heirs are their children. Many lenders are demanding full repayment of the loan, in contravention of federal regulations. Again, we recommend to anyone who has been threatened with foreclosure to contact our firm to discuss their legal rights in defending against possibly unscrupulous lenders.